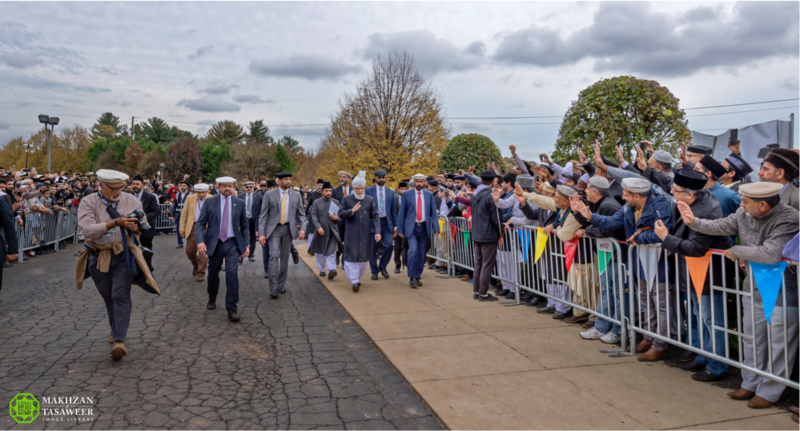 On 2 November 2018, the World Head of the Ahmadiyya Muslim Community, the Fifth Khalifa (Caliph), His Holiness, Hazrat Mirza Masroor Ahmad delivered his weekly Friday Sermon from the Baitur Rahman Mosque, Maryland, which serves as the National Headquarters of the Ahmadiyya Muslim Community in the United States. In a faith inspiring and emotional address, His Holiness reminded Ahmadi Muslims of their duty to uphold the highest standards of morality at all times. He urged Ahmadi Muslims across the world to make every effort to act upon the moral and spiritual teachings that the Promised Messiah (peace be upon him) sought to see in his followers. His Holiness spoke of numerous Islamic principles in light of the teachings of the Promised Messiah (peace be upon him) that Ahmadi Muslims should adopt, such as humility, obedience and avoiding all forms of associating partners with Allah the Almighty. 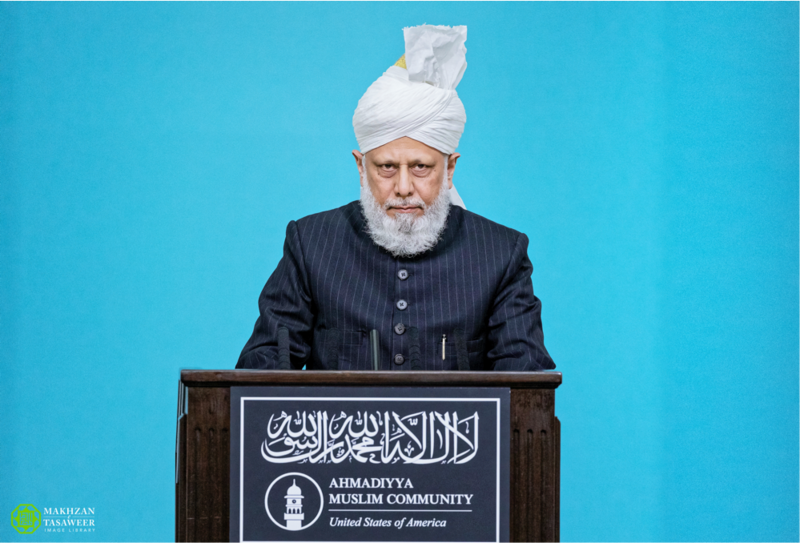 His Holiness also said that Ahmadi Muslims should contemplate their own spiritual and moral state and conduct constant self-analysis to ascertain if there was harmony between their verbal claims and physical actions. He condemned hypocrisy as a sin that invariably led one away from God Almighty. Further, His Holiness said that there were many different means of ‘Shirk’ – associating partners with God. He said that to give precedence to material pursuits over faith was a major form of Shirk. Referring to the life of the companions of the Holy Prophet Muhammad (peace and blessings be upon him), His Holiness said the companions were always extremely fearful of committing even the slightest forms of idolatry. His Holiness narrated an example of a companion of the Holy Prophet Muhammad (peace and blessings be upon him) who was seen crying. His Holiness said that falsehood was another evil that must be avoided at all costs and that Islam required strict adherence to truth at all times. Hazrat Mirza Masroor Ahmad said that when a person pursues falsehood it was a consequence of forgoing trust in God Almighty. His Holiness said that Islam requires Muslims to avoid all forms of indecency and fornication. His Holiness also cautioned against arrogance, a sense of superiority and condemned all forms of racism. Whilst these were Islam’s teachings, His Holiness noted that racism and a superiority complex had penetrated society. He said there were leaders who seemed to consider that white people had greater intellectual capacities than other races. His Holiness strongly condemned all forms of racism and said that this is a ‘result of their arrogance’. Following the Friday Sermon and prayers, His Holiness led a Bai’at ceremony in which around 8,000 people present on site took part.